The Society for AIDS in Africa (SAA), custodian of the International Conference on HIV/AIDS and STIs in Africa (ICASA) recently organized the elections of the new board of the governing council members for a term of four-year. The elections were conducted electronically and transparently with all active members of SAA, casting their vote for a candidate within their constituencies. The SAA electorate is grouped into five regions across the African continent: Northern Region, Southern Region, Eastern Region, Western Region and Central Region. The SAA constitution in its articles 10.1 and 10.1.2 provide for elections to be held every four years to vote new members in or reinstate existing members of the board. A voting platform was developed by SAA and access was given to SAA paid members to vote according to the five(5) geographical regions of Africa for Administrative Council. This elections was held from 3rd to 30th April, 2018. It is with great excitement that The SAA congratulates its active members who diligently participated in the democratic process by voting nine out of fourteen candidates to the Administrative council. 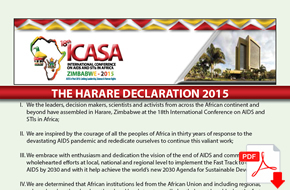 Have attended at least three past ICASA’s. When one is nominated to run for an Administrative Council office, the active registered members of SAA from that region have the power to vote for him. A candidate is elected as SAA Board Member when he or she gets the highest votes of its constituency. The representatives elected in each zone constitute the Administrative Council of SAA for a term of four-years. The elected Administrative members during their 1st ordinary Board meeting will select through a democratic voting system their six executive board members for the here after positions President, Vice President, Secretary General, Deputy SG, Treasurer and Deputy Treasurer. Professor John Idoko trained in internal medicine, infectious diseases and immunology of infections and has been an HIV physician since 1995. He was Principal Investigator of the Harvard University/AIDS Prevention Initiative Nigeria (APIN) Presidential Emergency Plan for AIDS Relief (PEPFAR0 program at the Jos University Teaching Hospital (JUTH), situated in Jos, the capital of Plateau State in the north-central region of Nigeria. The antiretroviral clinic (ART) at JUTH cares for about 12,000 patients with HIV, representing one of the largest clinics in Nigeria. The program in JUTH has a “Hub and Spoke” network of decentralized and integrated services delivering comprehensive HIV services TB, Malaria and sexual and reproductive health. Professor Idoko was President Nigerian AIDS Research Network, Chairman Nigerian National Antiretroviral Committee and currently Director General, National Agency for the Control of AIDS (NACA). In addition, he was Vice-Chancellor of the University of Jos (1994-1998) and Special Consultant to the Petroleum Special Trust Fund (PTF). He is Co-Chair of the newly established West African Infectious Diseases Institute (WAIDI) and serves on several boards including the Governing Council of the International AIDS Society (IAS). His research interests include clinical trials of antiretroviral drugs, adherence to ART, Tuberculosis, hepatitis co-infection, resistance to ART, social and behaviour issues in HIV and models for scaling out comprehensive HIV services. He has over 70 publications in peer reviewed journals and contributed to several books. Dr. Parirenyatwa trained as a medical doctor in Ibadan University Nigeria and worked in various Public health facilities in Zimbabwe including the City of Harare. He served as Deputy Minister of Health of Health until he was appointed substantive Minister of Health in 2002 till to date. He has previously chaired the SADC Ministers of Health Forum as well as the African Union Ministers of Health forum. Dr. Parirenyatwa has also chaired the UNAIDS Board as well as Co-chair of ICASA 2015 in Zimbabwe and has presented at various regional and international meetings. Tandakha Ndiaye DIEYE, PhD, Prof. is Head of Laboratories (Immunology & Vaccinology), Centre National de Transfusion Sanguine (CNTS), he was immunologist at Cheikh anta Diop University Dakar and Headed the immunology unit of the laboratory of virology/bacteriology, Le Dantec hospital. He’s also Head of the National blood transfusion laboratories. His main activities are focused on HIV,TB,Malaria. He’s currently managing the TB vaccine MVA 85A Phase I and II in HIV subjects and the Malaria ChAd63-MVA METRAP phase IIb. He is currently the Secretary-General of the Society for AIDS in Africa (SAA), the Chair of the ICASA 2019 Scientific Program Committee, a member of IAS and also WHO consultant on vaccinology. Sahra has 25 years, experience in Public Health and HIV Projects Design, Management, Research, monitoring and evaluation across the Public – Urban and Rural, –Based, social and Health sectors with senior management and leadership positions within Hargeisa, Toronto and Edmonton. Sahra has a numerous short term technical consulting engagements through working visits to over six countries. At global level, currently has worked with agencies like Global Fund, WHO, UNFPA UNAIDS/UN Millennium village’s project and, amongst others. Through leadership managed donor funded projects including USAID, CDC, DFID, DANIDA, Irish AID, Global Fund and private sector grants for a portfolio of over hundred thousand. In Toronto Ontario coordinated East African programs, immigration, and community based education as a District Health Advisor and also with, Coalitions of Somali women Executive Director amongst other capacities. She was instrumental in setting up a Leadership for Legacy in-house training program for staff at HIV units and support with people living with HIV/AIDS by rolling up a Sustainable Livelihoods program and the Antiretroviral program .Sahra has experience as a visiting Professor lecturer in Global Kampala University, and has lectured with transformational results where she introduced an approach of training the next generation of health workers for excellence and competitiveness on the job market. Sahra is currently a Commissioners for HIV AIDS Research and Technical Advisor for various crosscutting issue on Gender and HIV She is a member of government advocacy on social health and prevention sector working on documenting a model for sustainable social development with Public Health as the entry point- “Transforming communities: NDP11 Somaliland. Dr Namwinga Chintu a pediatrician by training is the Executive Director of Population Services International’s local affiliate Society for Family Health. Prior to joining SFH, Dr Chintu was the Deputy Director at the Centre for Infectious Disease Research in Zambia where she was responsible for strategic leadership and of a large NGO involved in research and health care delivery. She received her medical degree from the University of Zambia and later specialized in Pediatrics and Child Health. As a Beit Fellow, she received her second Maters degree in Tropical Pediatrics from the University of Liverpool. She has served as Associate Professor under the Department of Pediatrics University of Alabama at Birmingham. As a program technical lead she was responsible for overseeing the support of a large prevention of mother to child transmission of HIV (PMTCT) program whose impact and research findings helped to influence and inform policy and practice in Zambia. She actively participates in research around HIV in relation to maternal and child health, HIV prevention and primary care. James G. Hakim is Professor of Medicine; formerly Chair of Medicine at the University Of Zimbabwe College Of Health Sciences. He is Director of the UZ Clinical Research Centre and a Co-PI in the UZCHS Collaborative Research Program. Dr Hakim was the Principal Investigator of the UZ MEPI Programme. He is current PI of the MEPI Junior faculty award an initiative for advanced research training of junior academic staff. James Hakim trained at Makerere University, Uganda (MBChB), University of Nairobi, Kenya (MMed-internal medicine), UK (MRCP-UK); University of Newcastle, Australia (MMedSci-Clinical Epidemiology) University of Cape Town (Health Professions Education). He did post-doc in Cardiology at Aachen, Germany. He is a fellow of the Royal Colleges of Physicians of London and Edinburgh. In 2016 he was awarded a Doctor of Science Degree in Medicine (HC) by University College London. He has diverse research interests including HIV/AIDS, Opportunistic Infections and Cardiovascular Diseases. He has been involved in seminal HIV research through funding and collaboration with MRC-CTU (UK), UK aid, NIH (USA), EDCTP, etc. He has authored/co-authored more than 150 articles, book chapters and scientific communications. He is a member of several national and international organizations encompassing regulatory, advisory, programmatic, training and scientific portfolios. The immediate past President of the 5th SAA governing Board officially handed over the leadership of the organization to the new SAA President Prof. John Idoko. In his speech, Dr. Ihab commended the outgoing fellow board members for their dedication and selflessness that permitted him to steer the affairs of SAA for the term of four years with good governance, integrity, and excellence. 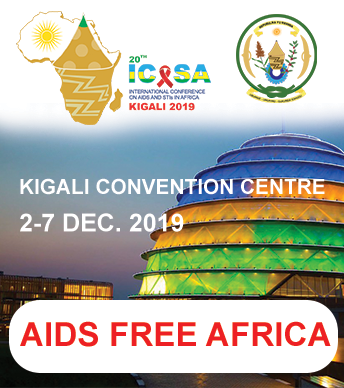 Dr. Ihab said and I quote: “Over the past years in office, we have demonstrated the need for a more innovative approach to prevent, control and mitigate the impact of HIV/AIDS in Africa, this has been achieved through various initiatives mainly ICASA conferences. We tried as much as possible to give more visibility and transparency to SAA as an institution. This humble achievement could not have been possible without the support and commitment of our various stakeholders, civil society organizations, UNAIDS, WHO, Ghana AIDS Commission, Donors and others”. On 8th May 2018, the Fiesta Royale Hotel, Accra-Ghana, witnessed the renewal of governance of the Society for AIDS in Africa in accordance with articles 10.1, 10.2 and 12 of the SAA Constitution. 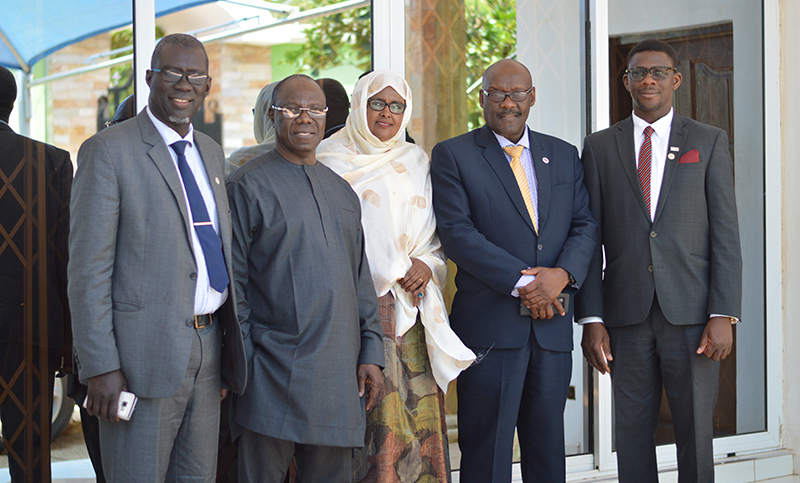 After the regional electronic voting system which facilitated the elections of the new Administrative council members, six of the newly elected council members came to SAA’s Headquarters in Ghana to democratically elect their new Executive Council for a tenure of 4 years (2018-2021). The executive council elections were held at the SAA Permanent Secretariat, located at Adjiringanor, East Legon. The presiding election officer was Prof. Robert Soudre from Burkina Faso, member of SAA board of Trustees, seconded by Dr. Amissa Bongo, immediate past Vice President as electoral commission secretary.